Can it really only be 16 days til Xmas???? Stirred through some gorgeous home-made pasta with extra sharp cheese on top - DIVINE!!! Your gift wrapping is beautiful! Fresh pesto, delicious. Last minute is always hectic around here, but since we are celebrating Christmas at our daughter's homes I didn't even bother with putting up a tree. I know this time of year is just more meaningful when you have little ones to make it special, our girls are grown and new grand baby will be here in early March so we have the best present to come later. 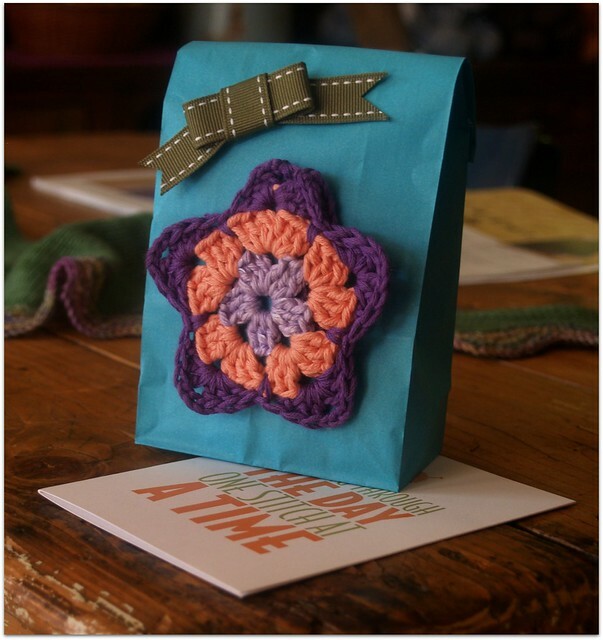 Your swap package looks pretty and I'm sure whomever is to receive it will love it. 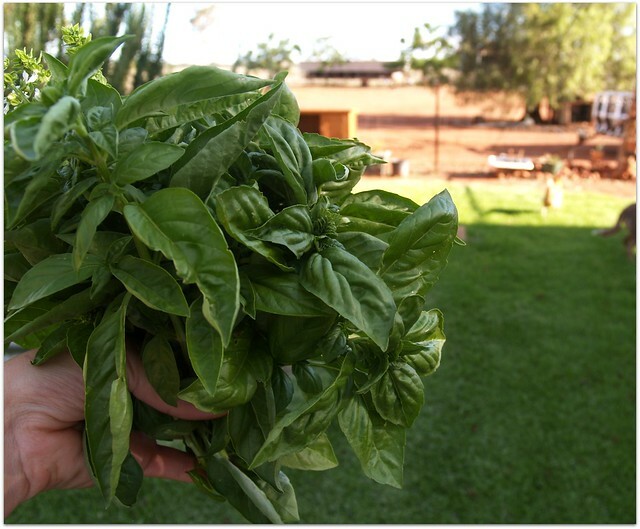 That basil plant is lovely, and thanks for the tip on the pesto. Oh I can just taste your pasta, wish I was close enough to just pop over for dinner!!! Yum! Wow Jodi, I love your blogspot, and all of your fantastic poducts you have made. I love the star parcel! How ingenious. I'd love one day Jodie to see your full graden.